CK1812SF water cooled Tig Torch 350amp 100% rated, 4m Superflex cables with 3.8" BSP fittings. CK1812RSF Heavy Duty water cooled Tig Torch 400 amp 100% rated, 8m Superflex cables 3/8" BSP fittings. 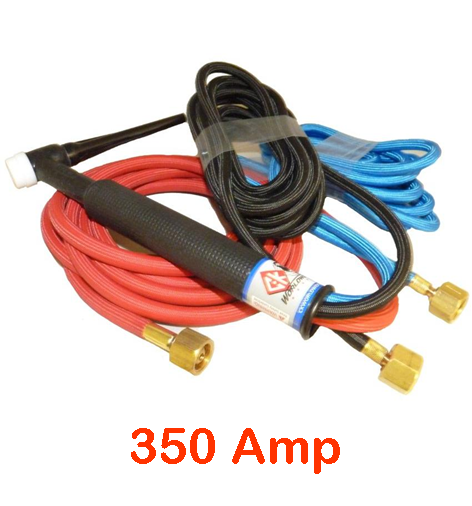 CK1825SF water cooled Tig Torch 350amp 100% rated, 7.6m Superflex cables with 3.8" BSP fittings. CK1825RSF water cooled Tig Torch 400 amp 100% rated, 7.6 m Superflex cables with 3.8" BSP fittings.